Lids. 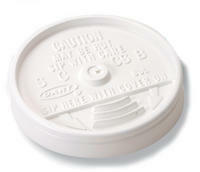 These neat little "Sip Thru" lids come in 1000 count cases to match the cups. PLEASE be sure to select the correct size to match your cup of choice!